虎尾 裕 ｢針峰峡谷｣Yutaka Torao "Needle Peak Canyon"
Hino gallery is pleased to present a solo exhibition by Yutaka Torao entitled “Needle Peak Canyon” from Monday, May 28th, 2018. Torao’s first solo exhibition at hino gallery was held in 1998. 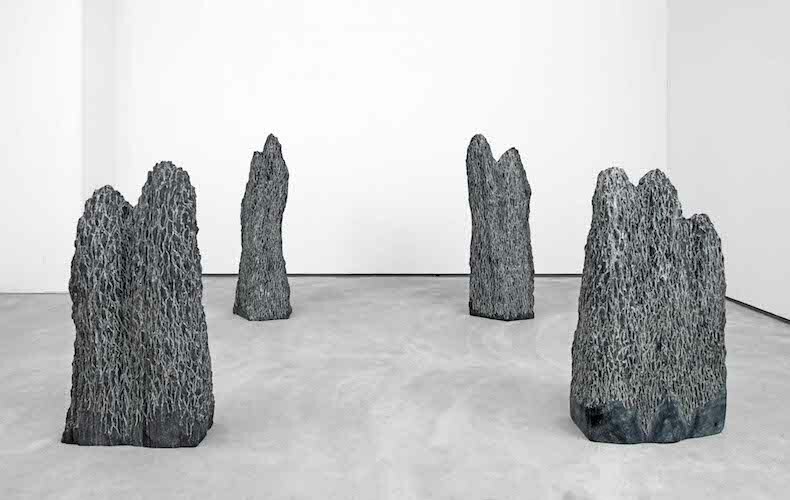 The show was composed of three standing sculptures made of andesite rock from a series called “Gregarious Forest”. A feature of the works was the plainly patterned surface of the stone, which was created by cutting and polishing to generate shade and shadow. Torao continued to develop the Gregarious Forest series for about a decade after and he began the next series entitled “Ridge Line” around 2010. In this series, Torao tried using different kinds of stone but mostly used marble and Datekanmuri stone, which is also a type of andesite. These works were much more horizontally oriented. As the title suggests, the ridge-like lines, reminiscent of natural mountain ranges, are evident in the sculptures but these unique shapes also suggest a range of other figurative images such as the rolling backs of dragons. 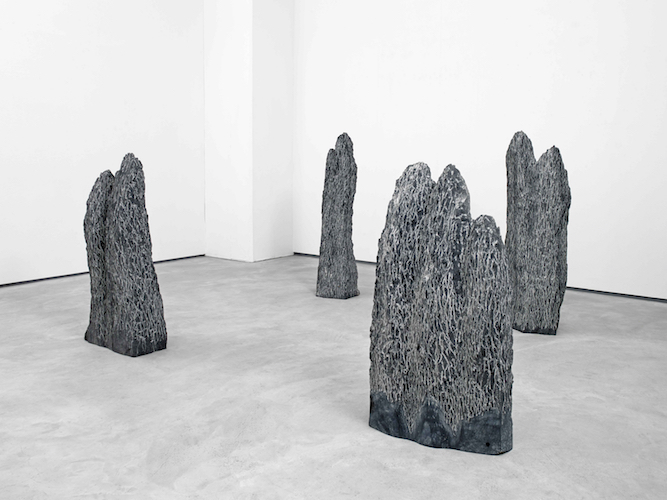 For his last exhibition at hino gallery in 2015, he exhibited works from the series called “Needle Peaks”, which were mainly made of marble and a type of slate called Inai stone. Torao made both horizontal and vertical works using these two materials and installed the works in pairs. The installation appeared to expand the dimensions of the room and transformed the space in an unusual way. When focusing on the details of the stone surfaces, minutiae became discernable: such as chiseled lines or beaded forms instead of simply the plain patterned forms. These textures can also be found in his most recent works exhibited in this show. 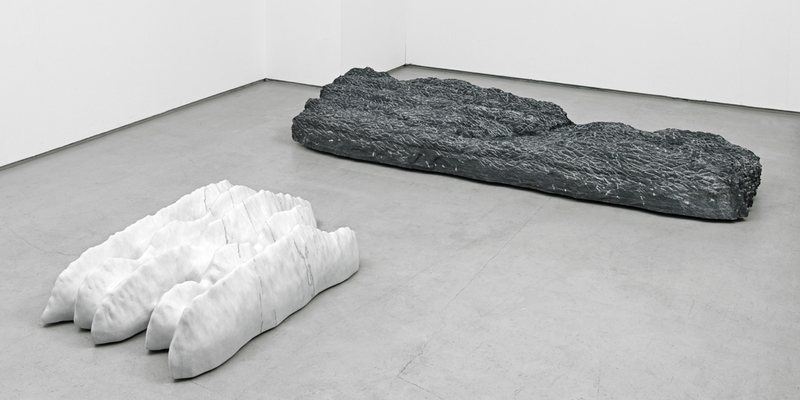 Torao chose marble and Inai stone again this time and entitled the exhibition, “Needle Peak Canyon”. 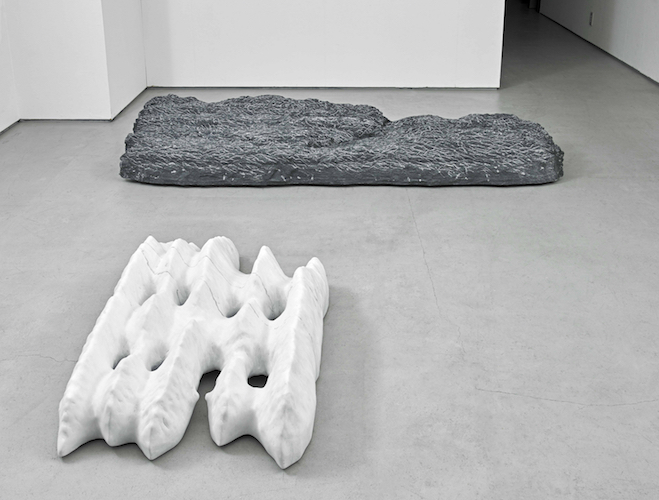 The beaded lumpy texture carved out on the marble surface casts a soft shadow contrasting with the white stone, whereas on the dark gray Inai stone, the intensively chiseled white lines appear to be on the surface. 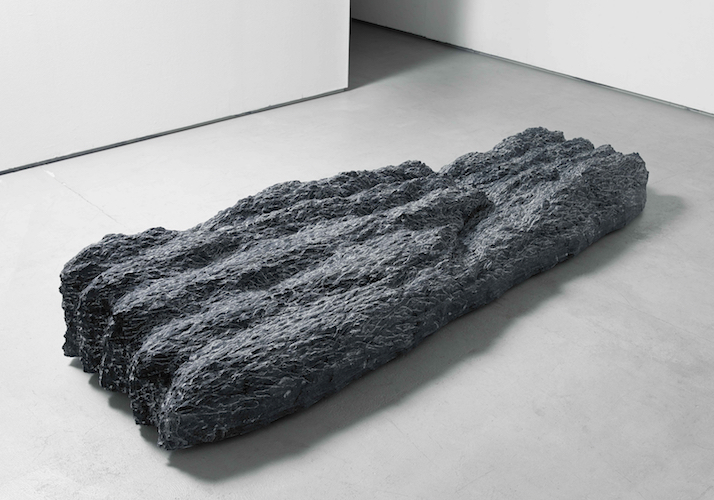 Perhaps reminiscent of foggy mountains or rain-sodden forests - the works evoke a powerful visual sense of place. 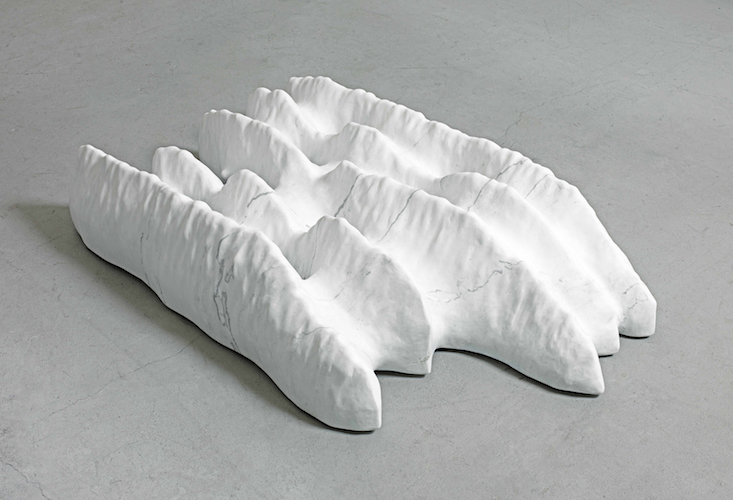 Instead of merely carving out the shape of a mountain range in stone, Torao continually attempts to yield the intangible energy that floats around mountains including the atmosphere or moistness, and even sound and wind. 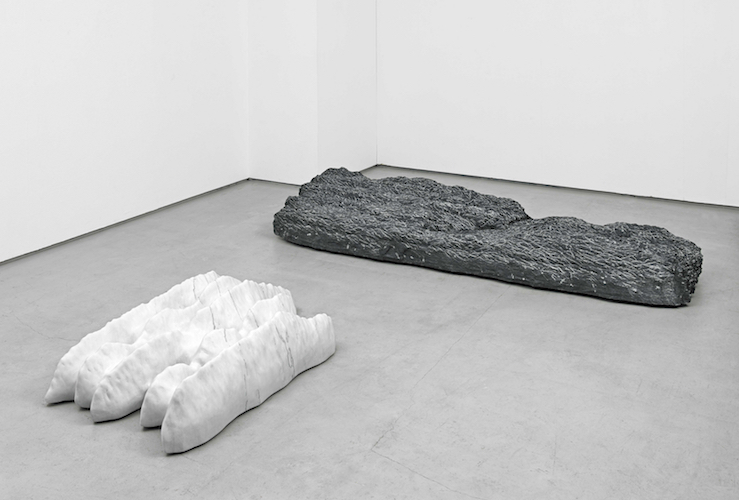 Each of his works can stand alone, but when they are gathered as an installation, what emerges is an entirely different view, which originates from the artist’s consistent approach to scenery that cannot be seen in nature or elsewhere. Hino gallery is presenting a solo exhibition by Torao for the first time in 3 years. How will the gallery be transformed this time? We hope you will experience it and enjoy the show.